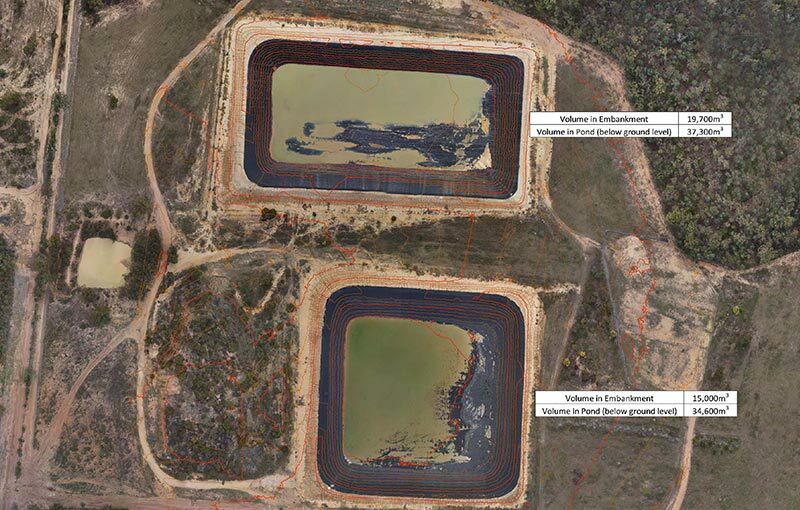 DSQ (Formally Definium) provided UAV mapping services to Origin during the construction of Talinga Pond. DSQ were engaged to complete volume calculations and compliance checks on claims and provide periodic footage of progress. Utilising the Astec Falcon 8 multirotor UAV, data was able to be collected without the need for personnel to work in close proximity to heavy earth moving equipment and there was a significant reduction in time on site compared to other survey methods. UAV data was processed, producing 3D survey model for volume calculations and up to date orthophotos.